Normally I don't read a lot of opinions before jumping into a game review. 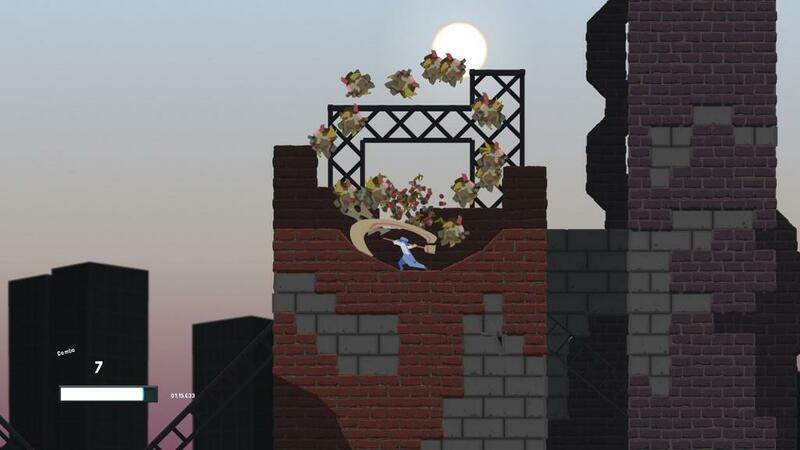 But when it came to Dustforce, ignoring my fellow critics was impossible. 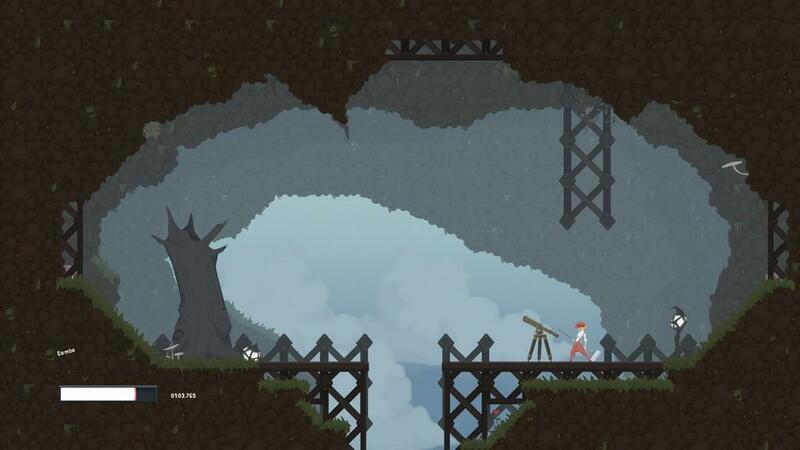 For two years, I have been hearing great things about Dustforce, a challenging 2D platformer originally released on PC. It has been hailed in some circles as being the best of its kind, offering a sense of finesse you rarely see in this style of platforming game. 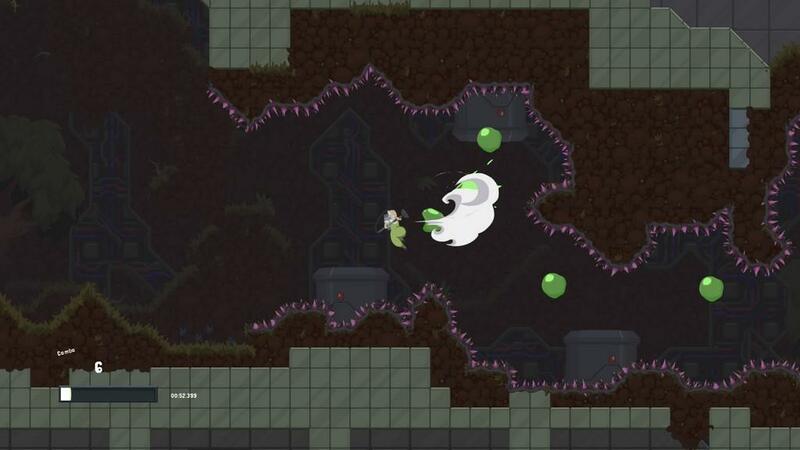 I wish I knew what game they were playing, because that's not the Dustforce I suffered through. Believe me, I'm just as surprised at my negative reaction as everybody else. 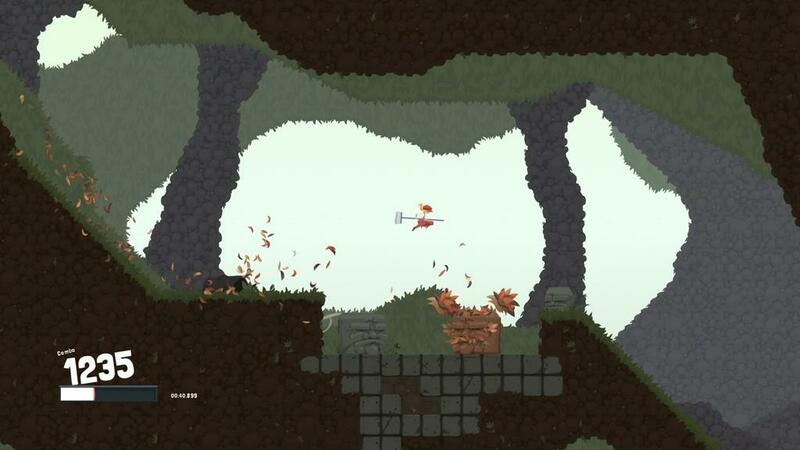 With stylish 2D graphics and an emphasis on level designs, I fully expected to fall in love with this indie darling. But it didn't happen. Instead of being won over by its charming presentation and goofy concept, I found myself wrestling with the game's lousy controls. After hours of trying, I finally came to the conclusion that I must be missing something. 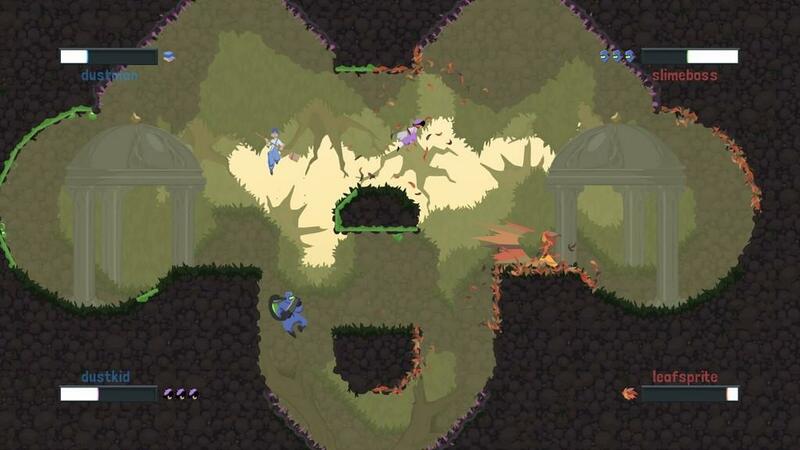 As a concept, Dustforce is a lot of fun. In a world overrun by garbage, you play a team of janitors looking to save the day. These colorful dust busters go from level to level, fighting off dirty bad guys and mopping up the mess lining the ground. Players are ranked not only on how much garbage they pick up, but also how fast and stylish they are doing it. There are 50 dirty stages in all, though half of them are locked away at the start. Players battle green slime monsters in the Laboratory, slide along rooftops in the City, pick up fall leaves in the Forest and knock out dusty cobwebs in the Mansion. Some stages are long, full of enemies to fight and complicated patterns to memorize. There are also a number of short stages, which won't take more than a minute to complete. We're told that these powerful janitors are able to clean where nobody else can reach. This is definitely true, as all four characters can climb up walls, double jump in the air and even walk on the ceilings. It all comes down to your momentum, which can propel the character up to hard-to-reach locations. Mastering the intricate controls is the only way to get high scores and earn the keys needed to unlock even more difficult stages. Unfortunately, mastering the touchy controls is easier said than done. Perhaps I'm missing an important element to controlling Dustforce, but the play mechanics I experienced are nothing short of awful. They are imprecise, difficult to get right and the cause of all my frustration. The inconsistent gameplay is what ultimately drove me away from the otherwise intriguing premise. Let's start with the jumping, which quickly became my least favorite activity in Dustforce. Like many 2D platformers, this game has a standard double jump that is supposed to help you make it over huge gaps. Unfortunately, the double jump only worked some of the time. Occasionally it worked flawlessly, but most of the time the double jump failed to register and I fell to my death. Landing is also an issue. Even if you manage to pull off the rare double jump, you'll still have almost no control over the character in the air. This isn't a small problem, as many of the puzzles rely on players landing on narrow platforms surrounded by spikes. Jumping carries a certain momentum that is tough to work with, leading to far too many cheap deaths. It's not just jumping and landing, but also simply walking left and right. The character movement is so jerky that it's difficult to even set up a difficult jump, let alone make it over the gap. I have died far too many times from simply pressing left or right and falling off the narrow platform. The characters move too quickly for their own good and the gameplay is not precise enough to warrant the difficult level designs. For as difficult as Super Meat Boy and N+ are, I rarely felt like those games were being cheap. Sure, the stages were insanely difficult, but I always knew that I had full control and that most of the deaths were caused by user error. That's not the case in Dustforce. Every single death left me with the feeling that I only died because the game was out of control or didn't give me the proper tools. Trying to correct a bad jump or mistake always resulted in an even worse problem, quickly teaching me to expect the worst in this punishing platformer. It doesn't help that the game demands perfection. Want to see most of the best levels? Then get ready to replay every stage until you've mastered the accuracy and finesse. Only then will you be given the keys to the higher levels. Of course, these locked stages only ratchet up the difficulty. Many of the harder stages come across as cruel, thanks in large part to gameplay that seems ill equipped for the job. 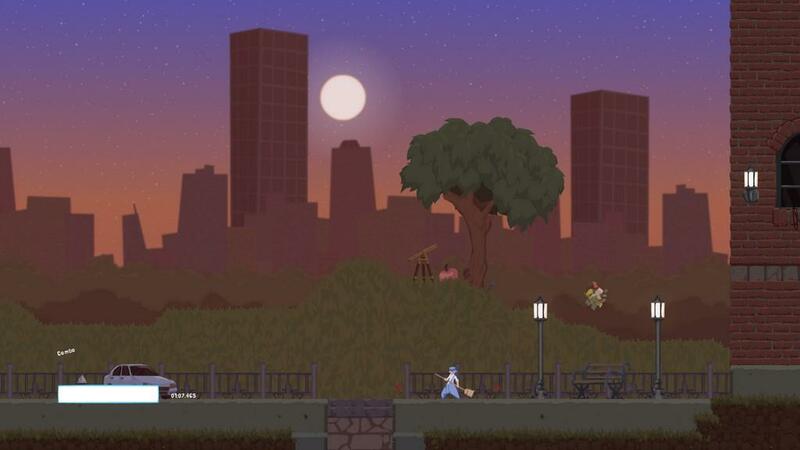 It's a shame, as I like just about everything else in Dustforce. I'm a fan of the simplistic presentation and love the way each character uses their cleaning tools as weapons. I like the goofy idea and can see what Hitbox was going for when making the game. Sadly, all this is undone by the unruly play mechanics. 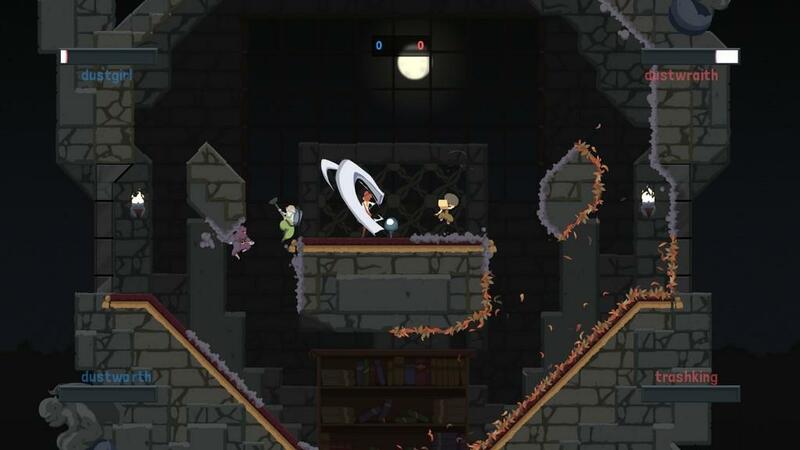 Feeling out of control is the worst sensation you can have when playing a difficult platforming game, and yet that's exactly how I felt throughout most of Dustforce. Normally I would blame the problem on my allergies to dust, but in this case it comes down to the painfully inadequate gameplay. 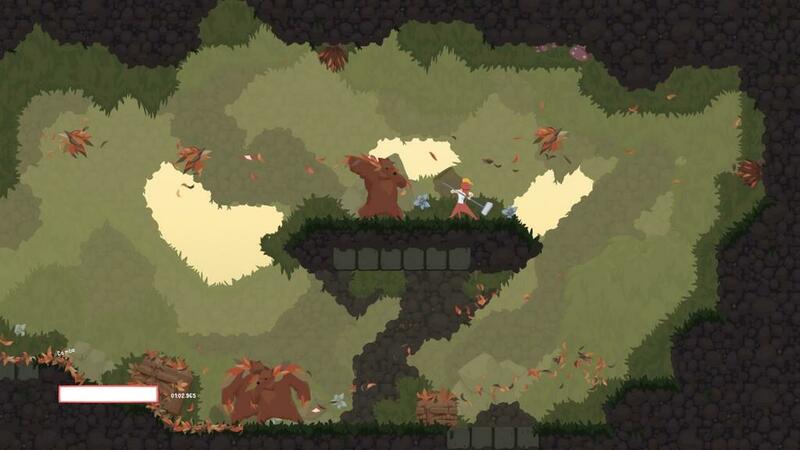 Dustforce looks great and has some inventive ideas, but it's absolutely no fun to play on the PS3. 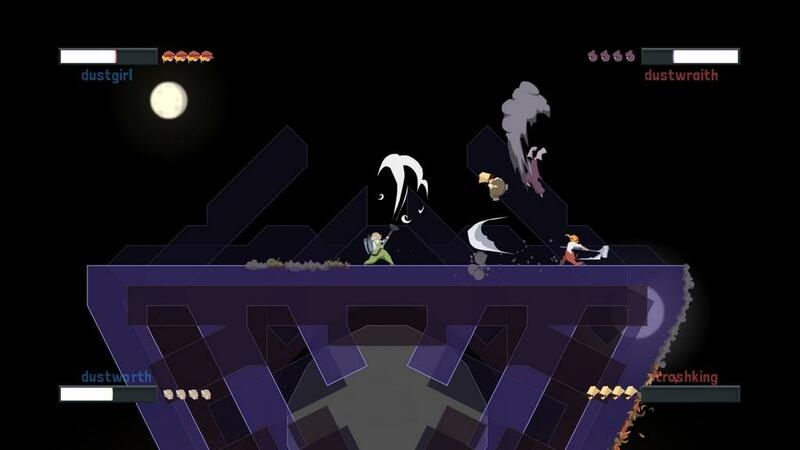 Although a critical darling on the PC, this PlayStation 3 port of Dustforce left me cold. It's not without some good ideas, but marred by its frustrating gameplay mechanics. 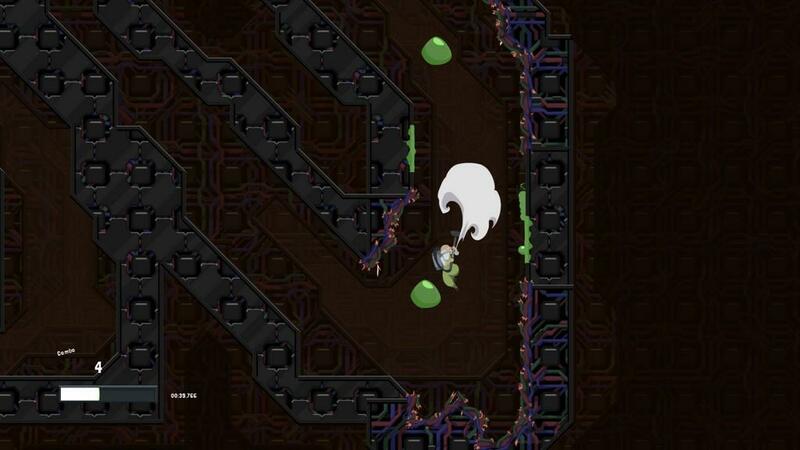 I rarely felt in control of my character, which is an important element of any 2D platformer. The great presentation is undone by a number of questionable gameplay decisions.